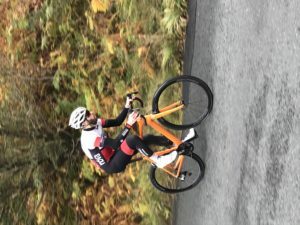 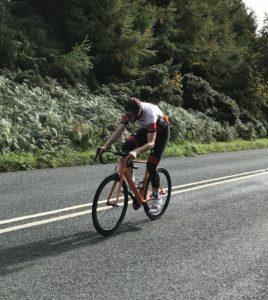 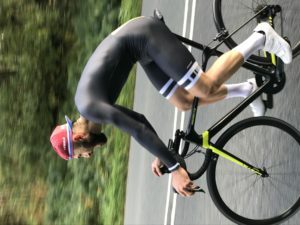 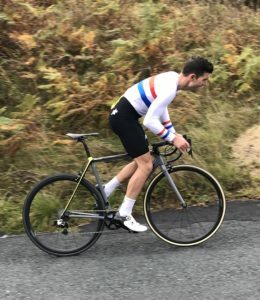 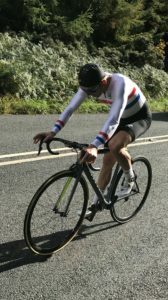 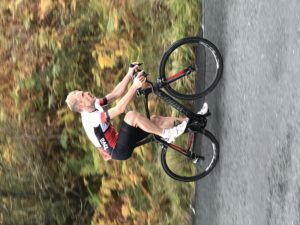 The 2018 Otley CC hill climb on Saturday 6th October might have been the first event he’d organised but Andrew Bolton must have some sort of magic touch. 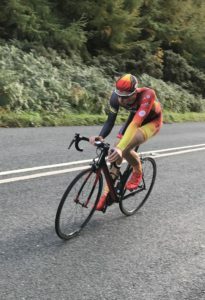 The forecast rain didn’t appear and although it was cold early on the whole day turned out fine, the sun even showing its face for the second stage in time for the battle for the club hill climb championships. 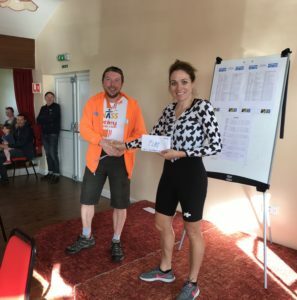 All that made for an excellent day’s racing, although out of the 46 entrants 12 didn’t start, many likely put off by the (rubbish) weather forecast and no doubt probably regretting their decision once they realised said forecast was way off the mark. 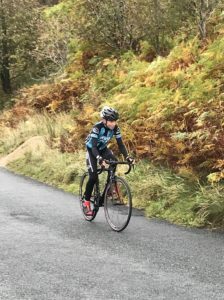 It’s usually just the riders who suffer on the climbs, especially on Guise Cliff with its very steep start, but helpers suffered a little too with the cold, especially in the shade, thankful though that the morning was dry. 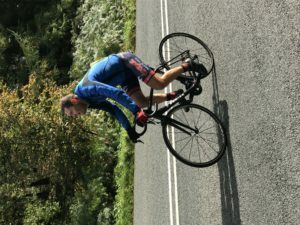 Organiser Andrew was the first of 8 Otley riders who faced the timekeeper. 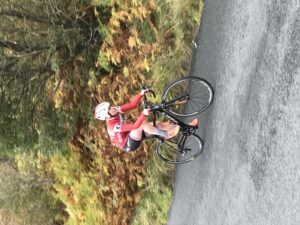 Sam Ward was the fastest of those 8, Amy Cuthbertson the fastest female rider. 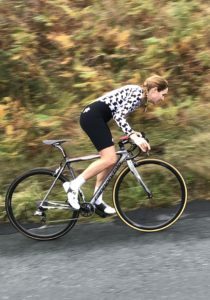 Husband and wife clubmates Dan and Jessica Evans of Assos Equipe UK, Dan the current men’s National Hill Climb Champion, we’re fastest man and woman. 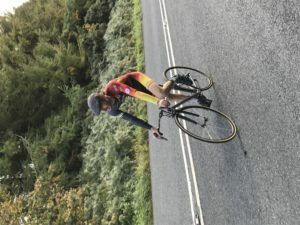 Dan recorded 3:08.4, breaking his previous course record by 5.3 seconds, and Jessica 4:20.0. 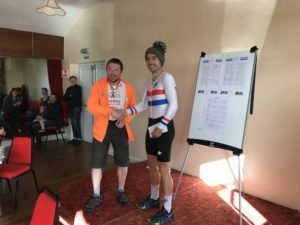 After refreshments at the Norwood Social Hall HQ it was on to Norwood Edge for stage 2 which would not only decide the overall outcome but the club hill climb champions too. 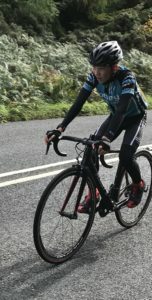 As before, Andrew was the first rider away, carrying on over the top back to the HQ to continue his hard work and prepare for the prize giving. 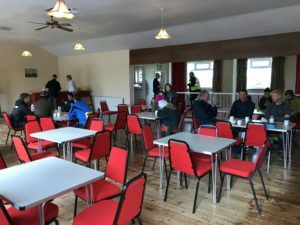 And no doubt to have some tea and cake too! 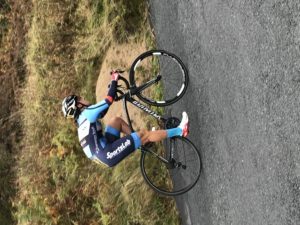 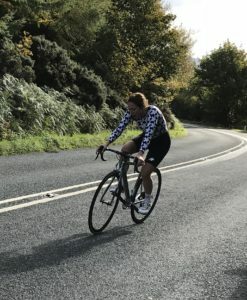 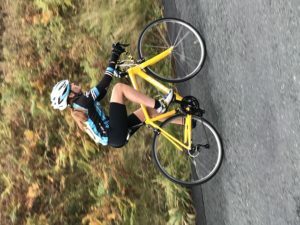 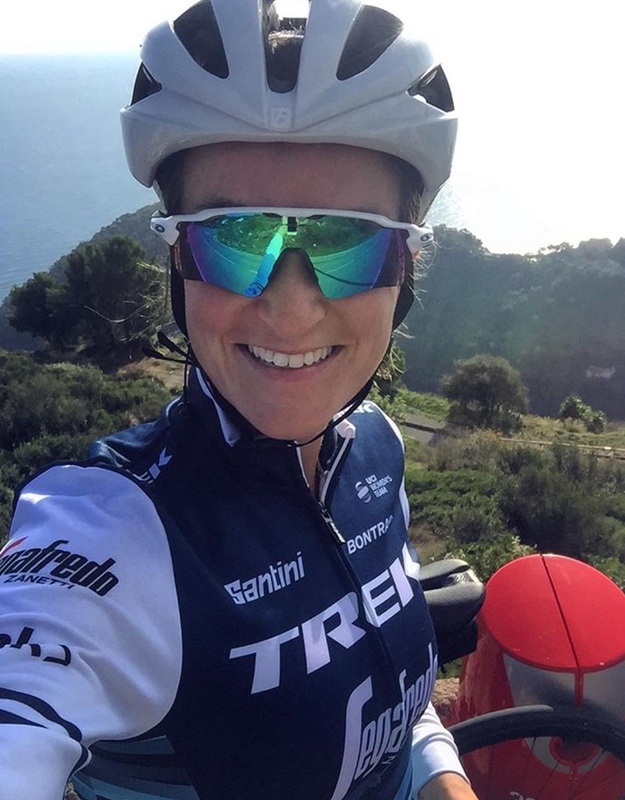 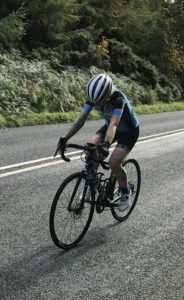 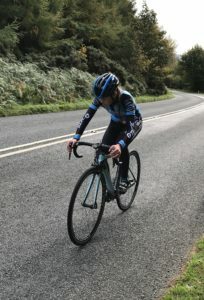 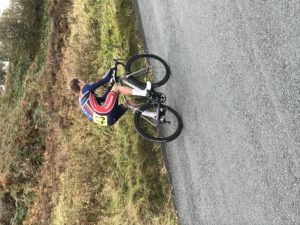 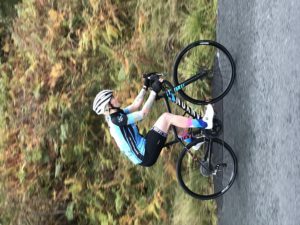 Amy Cuthbertson and Sam Ward, on opposing sides of the hill climbing love-hate spectrum – Amy’s riding several, Sam just the one – were crowned club Hill Climb Champions for 2018, recording 8:38.6 and 5:45.2 respectively. 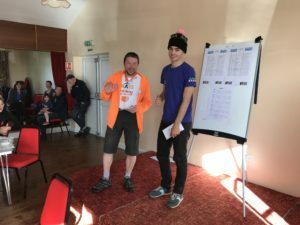 Congratulations to our new Champions! 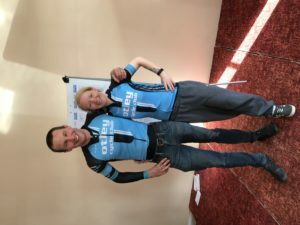 Dan and Jessica Evans were once again fastest man and fastest woman, Dan in 4:56.0, Jessica in 6:47.2. 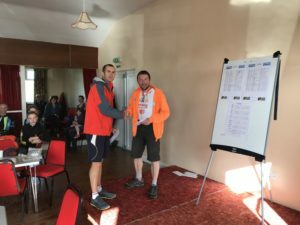 Other than the club championships, awards for the event are awarded on a combination of the first and second stage times. 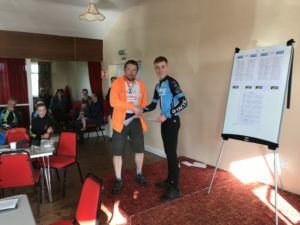 Overall Otley times were as follows. 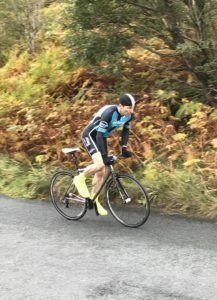 Overall winner and 1st Man was Dan Evans with a combined time of 8:04.4. 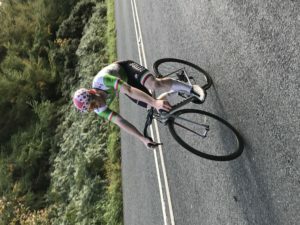 Andrew Feather of BCR Racing was 2nd with 8:07.8 and Kieran Savage (Team B38/Underpin Racing) took 3rd with 8:32.2. 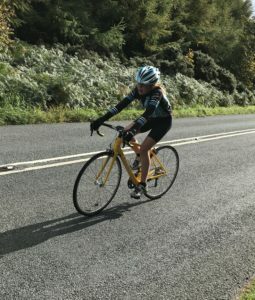 Jessica Evans was 1st Woman overall with 11:07.2. 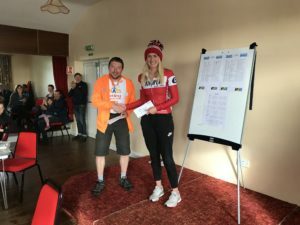 2nd with 12:99.6 was Gemma Hobson of Sussex Nomads CC. 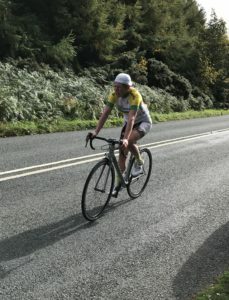 Anna Weaver of NJC-Biemme-Echelon was 3rd in 12:35.8. 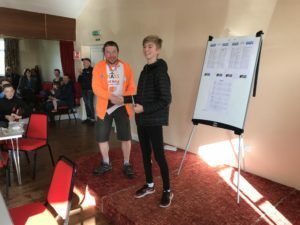 Fastest Juvenile overall was Otley CCs own George Radcliffe in 10:27.4. 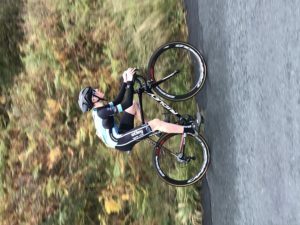 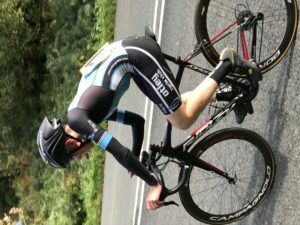 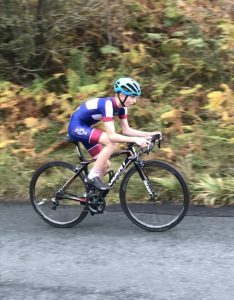 Henry Hollyman of Kirklees Cycling Academy was 2nd with 10:54.6. 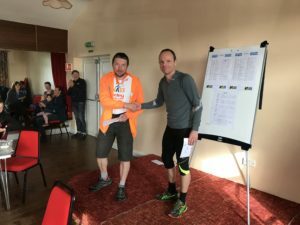 Valley Striders Nick Addy was 1st Vet in 10:51.6 with Robert Senior of Harrogate Nova 2nd in 10:51.8. 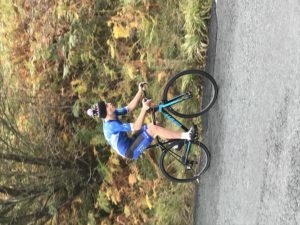 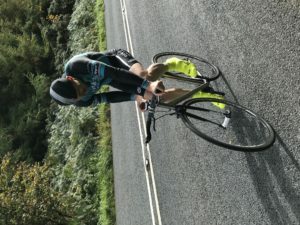 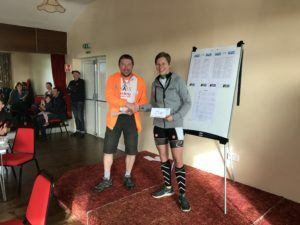 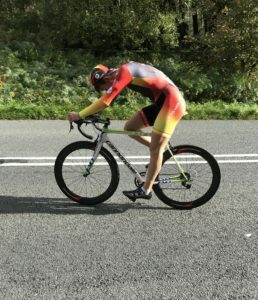 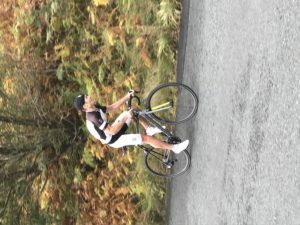 Full results and report courtesy of CTT and Snowdon Sports. 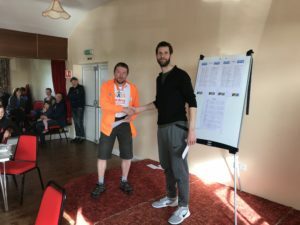 Well done to Andrew on organising his first event and thank you to the timekeepers and all helpers.